“The odds were stacked against us. Of the 51 missions, attempted across the world so far, a mere 21 had succeeded. But we have prevailed,” said PM Modi. Only NASA, the European Space Agency and the former USSR have been successful in their Mars missions. The first successful mission was by NASA’s Mariner 9 in 1971. The most recent failure was that of the Chinese Yinghuo-1 in 2011. PM Modi lauded the Indian Space Research Organisation or ISRO for joining an elite group of only three other agencies worldwide to have successfully reached Red Planet. Mangalyaan, which is the size of a Tata Nano car, was launched in November, 2013, aboard India’s Polar Satellite Launch Vehicle-C25 rocket. The mission is meant to test India’s ability to place a craft in Martian orbit and technologies required for a future interplanetary mission. 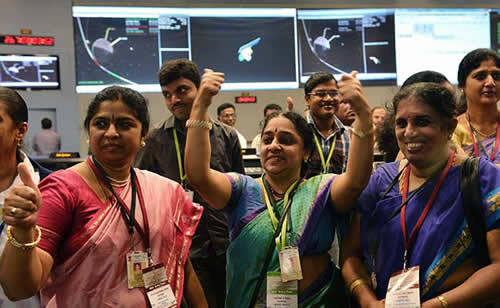 The MOM or Mars Orbiter Mission was conceived, planned and implemented by ISRO on a shoestring budget of Rs. 450 crores or $ 67 mn. “Even Hollywood movies cost more,” said Mr Modi, who had earlier referenced the mega-budget space film “Gravity” to demonstrate his point. Mangalyaan will explore the surface of Mars, its morphology, mineralogy and its atmosphere. Five solar-powered instruments aboard Mangalyaan will gather data to help determine how Martian weather systems work and what happened to the water that is believed to have once existed on the planet in large quantities. 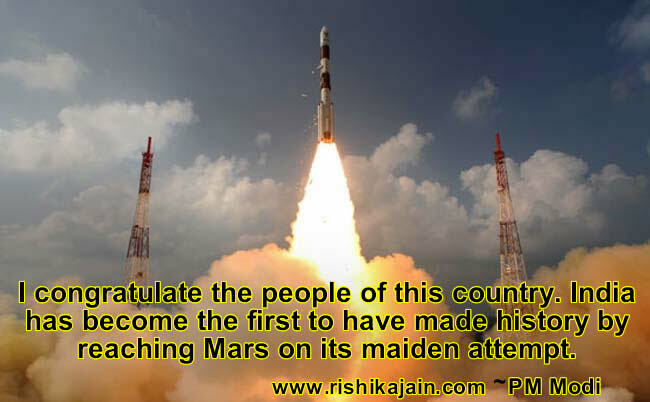 India created history on Wednesday, becoming the first country to successfully get a spacecraft into the Martian orbit on its maiden attempt. “History has been created today. We have dared, to reach out, into the unknown,” Modi said congratulating the country. When our cricketers win a tournament, the entire country celebrates. What the scientists have achieved today, is much greater than that. 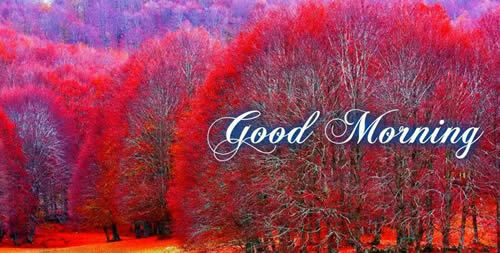 Lets today’s success drive us to greater visions, let us push our boundaries and then push some more. This is the hope with which we move forward. ★ No word in the English language, rhymes with month – orange – silver -or- purple. ★ Shakespeare invented the words “assassination” and “bump”. ★ The dot over the letter “i” is called a ‘Tittle’. Did You Know Some interesting fact about yourself ? 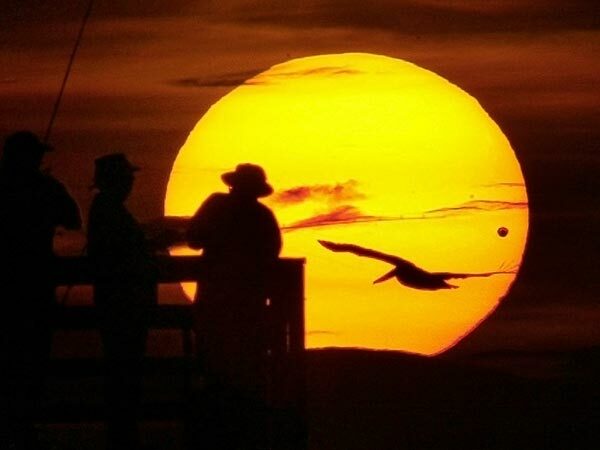 When Venus passes directly between earth and the sun, we see the distant planet as a small dot gliding slowly across the face of the sun. Historically, this rare alignment is how we measured the size of our solar system. The view is like a front row seat to the transit method, by which we now find planets around distant stars. The Miracles of nature never fail to delight us….and remind time and again to contemplate on life in general…..
1. More than 24 billion newspapers are published every year !!!! 2. In China, early government-produced news sheets, called TIPAO, circulated among court officials during the late Han dynasty (second and third centuries AD). 3. The first modern newspapers were products of western European countries like Germany (publishing Relation in 1605), France (Gazette in 1631), Belgium (Nieuwe Tijdingen in 1616) and England (the London Gazette, founded in 1665. 4. 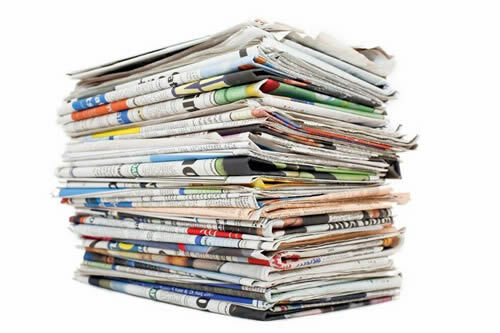 If all our newspaper was recycled, we could save about 250,000,000 trees each year !!! 5. To produce each week’s Sunday newspapers, 500,000 trees must be cut down.